Customize the look of your kick panels while protecting your door panel from everyday wear and tear. 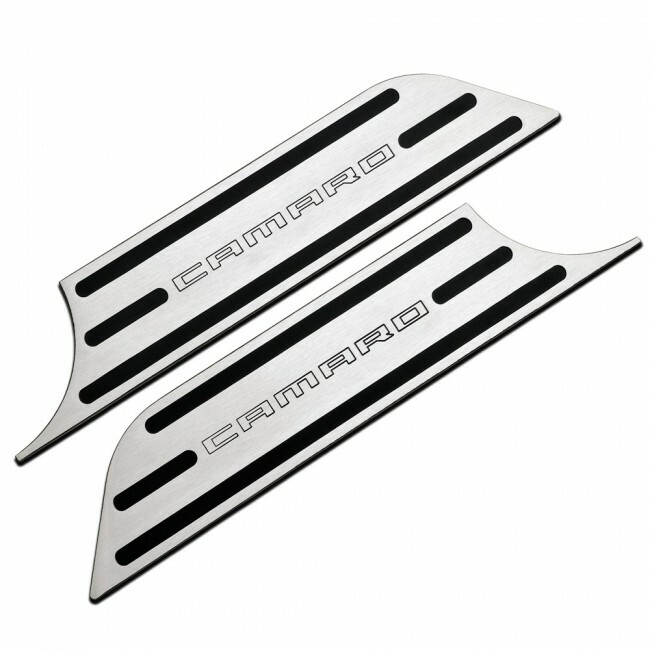 Crafted from extra thick 1/4 inch 6061 aircraft grade aluminum billet, this is the thickest and most durable kick plate on the market. Adhesive-backed with 3M automotive tape for easy installation. Set of 2. Four year limited manufacturer's warranty. Made in the USA.